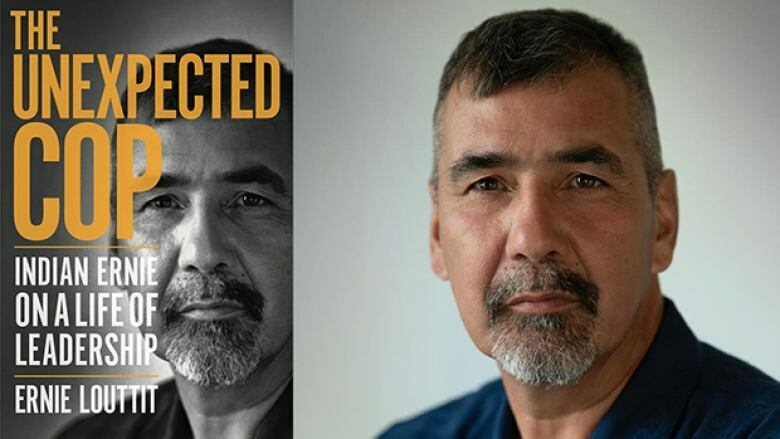 The Cree author and retired Saskatchewan police officer shares life lessons in The Unexpected Cop. Ernie Louttit is a bestselling author, public speaker and retired police officer from Saskatchewan. As one of the first Indigenous police officers hired by the Saskatoon Police, his compassionate, patient and observational approach to policing won over many and made him one of the most trusted leaders on his force. He has previously written about his experiences within the force in the books Indian Ernie and More Indian Ernie. His new book, The Unexpected Cop, takes on leadership — how being a leader means sticking to your convictions and sometimes standing up to the powers that be. "When I act as a public speaker, I found myself sneaking in stories about stuff I hadn't written about before. I found that people were very receptive to it. I realized I was laying the seeds for a new book and should probably write it. I was also inspired by today's social media, where people communicate in short sound bites with strong positions without any context. I wanted this book to reflect things that I have an opinion on. "I'm really an optimist about so many things. I understand that so many things go in cycles. I wanted to write about the meaning of leadership and being a leader. It's about never stop learning or revising what you've learned. In the end, you actually get better whether you realize it or not." "​Leadership is everyone's responsibility. Eventually everybody has to step up at some point. This is the main thing I would love people to take away from the book [is] that they can have the skill set to be a leader. "We are blessed to live where we live and I'm proud to be Canadian. I'm an optimist and I hope it's contagious." "People get so wound up on so many issues and stuff today. That said, I don't have that sense of frustration in today's world. I actually see progress in a lot of things, even in recent times where there have been a lot of real 'hot button' issues. I think we're now in a period of reflection. We are in a position to really look at things and talk about them, instead of being stuck in unchanging positions or opinions. "In terms of the tone of this book, it's not preachy or angry. I just told the stories to tell. People don't have to agree with me, but I hope readers are able to at least reflect on what the book is saying." "I always start my books by writing longhand. The beauty of that is it gives me an economy of words. It prevents me from being longwinded and I can get to the point very quickly. "Like my other two books, I wrote most of this book in Northern Ontario, where my parents live. I would visit and stay in a small fishing cabin that they own. It's super quiet there. When it rains, the television goes out, which ensures that I have no disruptions. Depending on what I'm writing, I write in silence or to rock music. "When I'm back home in Saskatchewan, I type out the longhand notes on my laptop. I don't have any typing skills — I'm a two-finger typist — so that process is slow! But this process allows me to get to the point very quickly. Then when I finish a chapter or passage, I push it away for awhile. I revisit and reread it some time later for perspective." Ernie Louttit's comments have been edited for length and clarity.